five-year manufacturer's warranty, light bulbs are excluded. The Living Giba table lamp is particularly compact with a diameter of 15 cm and a height of 14 cm. Inside the table lamp is a 25-watt E14 bulb, whose light is decoratively enhanced by the pattern on the body of the table lamp. 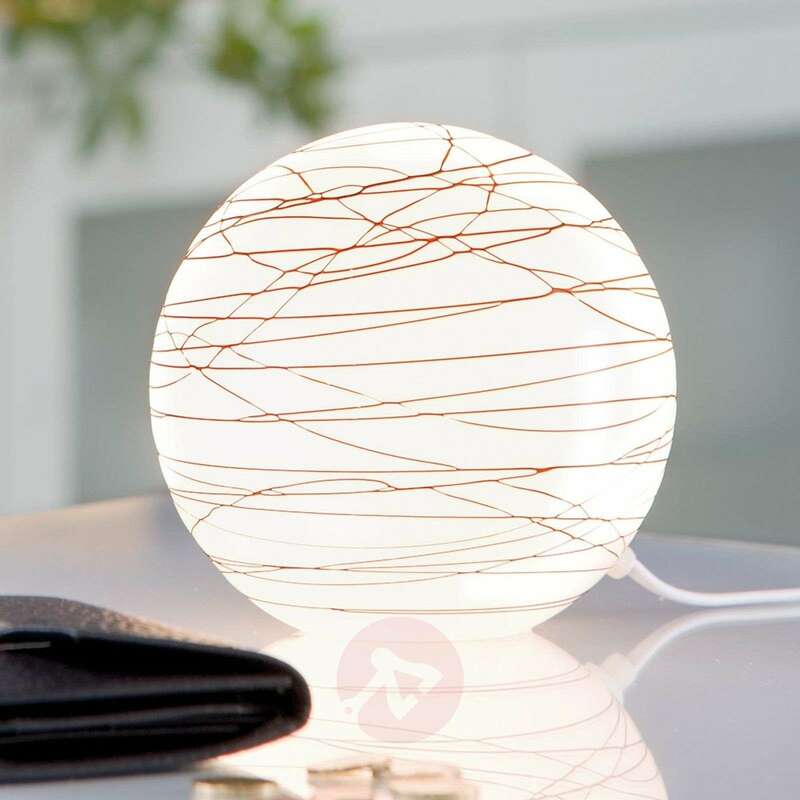 The table lamp comes with a switch on the power cable so that it can be easily controlled. The pattern on the lampshade can differ to that shown as it is applied by hand.